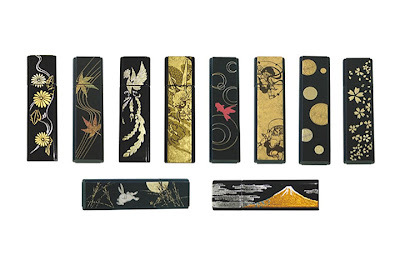 If It's Hip, It's Here (Archives): Modern Tech Meets Traditional Japanese Gold-Leafing in these USB Flash Drives. 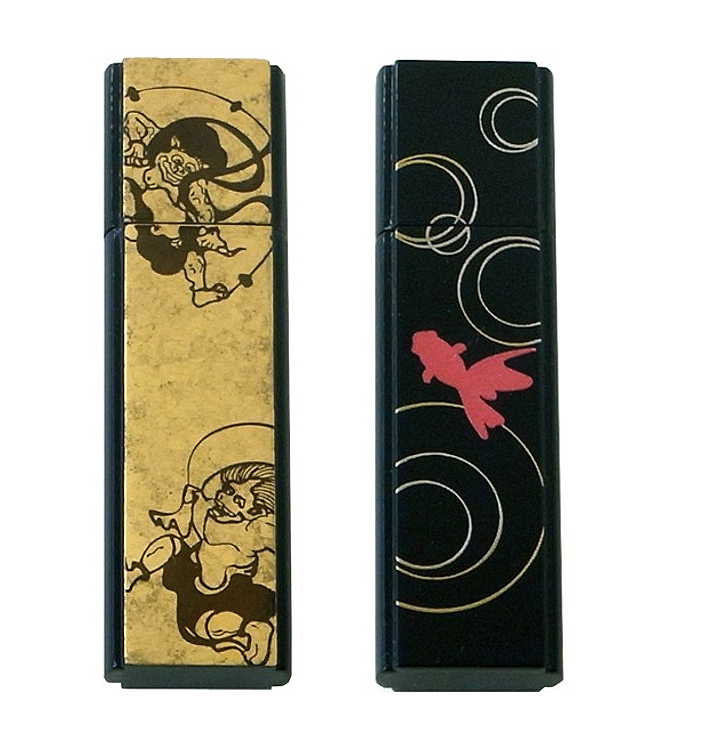 Modern Tech Meets Traditional Japanese Gold-Leafing in these USB Flash Drives. 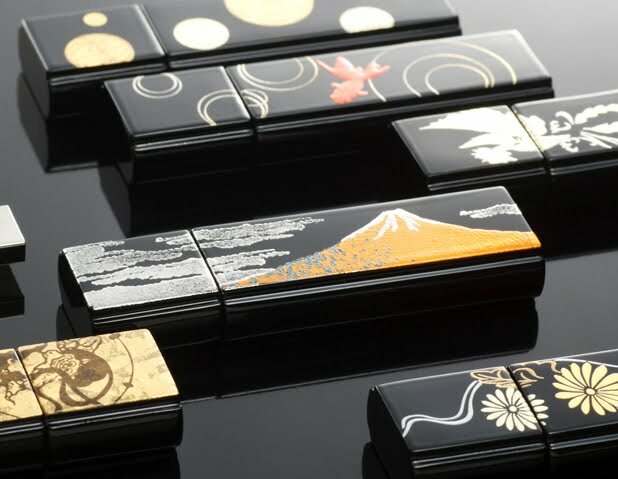 With most new fangled technology gadgets being made of silicon, titanium or polypropylene, it's a refreshing change to come across something useful that harkens back to tradition. 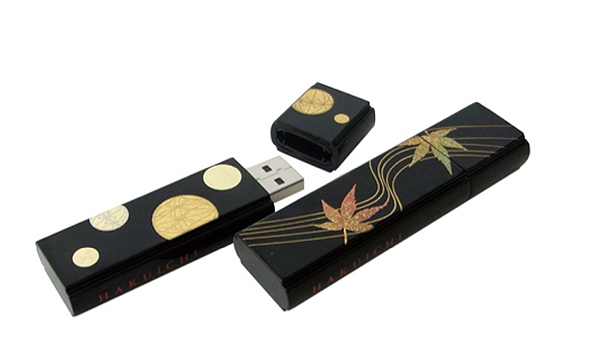 Famous Japanese kinpaku manufacturer Hakuichi, who is known for their gold-leafing of several types of products and edibles, enters the computer peripheral world with these portable USB drives decorated with high-quality gold leaf designs, called hakue (or gold leaf pictures). 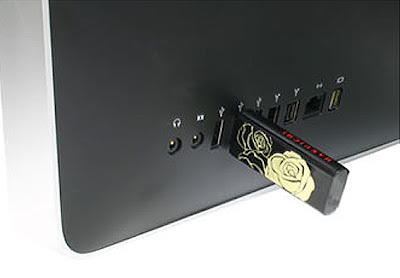 Chrysanthemums to birds to Mount Fuji adorn the front of these 4GB USB thumb drives or flash drives. 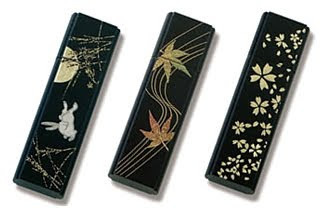 While they are perfect for storing your data they bring an element of traditional Japanese hand-leafed gold design to the table. 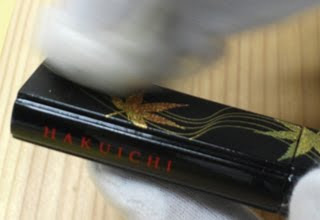 Please note that this product is manufactured after receipt of order; as such, orders for this product cannot be cancelled. Additionally, the one-year hardware warranty only covers the USB solid state drive, not the design on the outside. 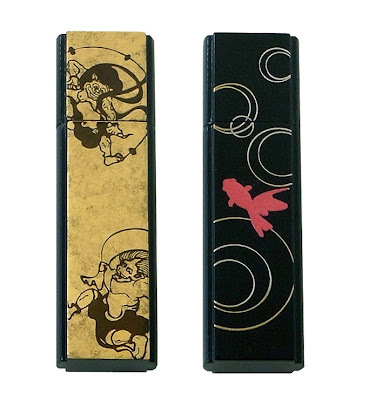 In Japan you can buy them directly from Hakuichi here.